(1920 x 1080) at 30fps. Standard lens (Lens A2: 85°) or wide angle lens (Lens D: 120°). 2 separate cameras for front/rear footage. 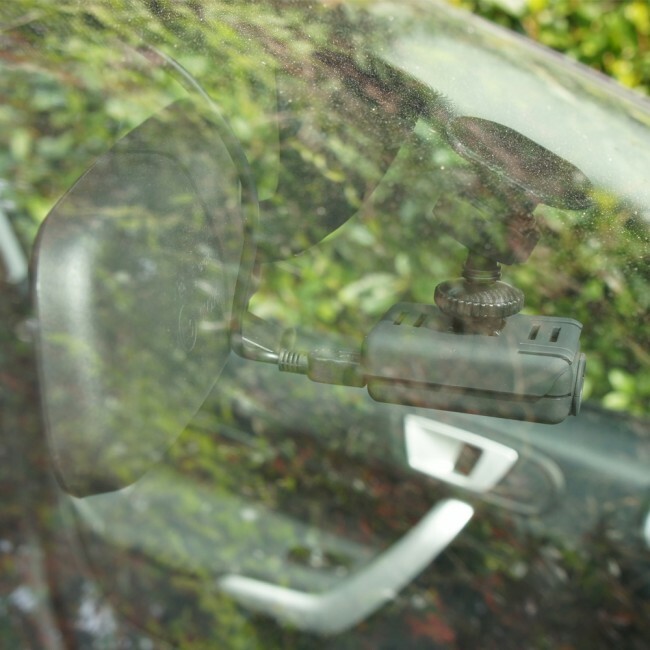 Adjustable suction or adhesive windscreen mount. 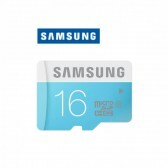 Micro SD class 6 cards up to 32GB. The Mobius ActionCam is a multi-purpose action camera that works perfectly as a car camera, thanks to it's size, accessories and the option of loop recording and auto start/stop. We're offering a ready to go dash cam version of this camera which is pre-configured with the latest firmware and setup to run as a car camera out of the box. We're also offering the option of lenses at no extra cost. Choose from either a standard lens Lens A2), which has an 85° viewing angle to give a crisp image without distortion, or a wide angle lens (Lens D) which has a 120° viewing angle, capturing more action with a slight fish-eye effect. 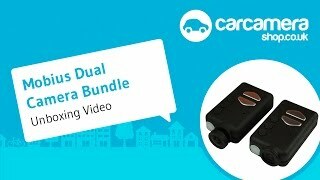 The dual camera bundle comes with two Mobius cameras, an extra long 5m cable for mounting in the rear and a dual USB port car cigarette lighter adapter (if you prefer, you can opt for 2 single USB port adapters should your car have an extra cigarette lighter socket in the back or boot - contact us when you place your order). These extra accessories mean you can have two cameras running at the same time to capture video evidence in front of you and from behind. The Mobius ActionCam is tiny and very light and provides full HD 1080p video at 30fps with fantastic quality to really capture the detail you need including number plates. The lens comes with the popular WDR (Wide Dynamic Range) making for great quality in low-light conditions. 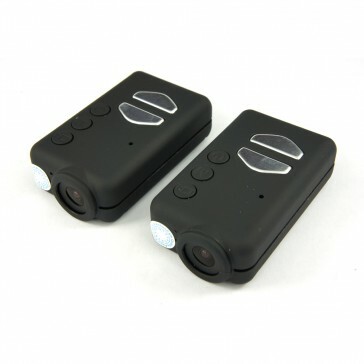 The camera does also provide HD quality 720p at 60fps but for dash cam use, we recommend 1080p at 30fps. The camera comes with a built-in battery which lasts up to 2 hours so you can run the camera out of the car to take photos or even take it with you snowboarding! The Mobius ActionCam makes a great dash cam with loop recording (clips last 3 minutes each but this can be changed) with a 1 second overlap so you don't lose out on any video. The auto start/stop feature means the camera will power on and start recording automatically when you turn the car ignition on. Likewise, it will also power off and stop recording once you turn the car ignition off. The Mobius Action Camera is a fantastic little camera without the advanced features and controls you see on other dash cams. That said, it does the most important thing, recording the road ahead, better than most other cameras on the market. Plus, you can use it for many other things! 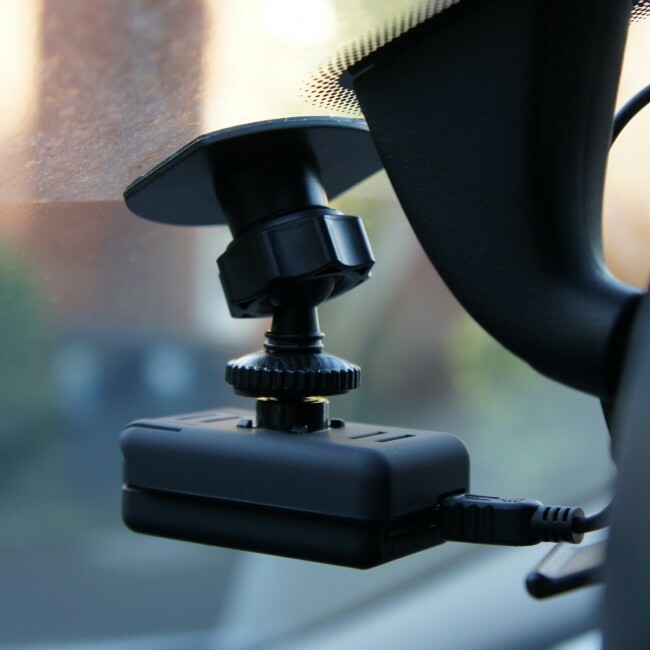 If you are mounting the rear camera to the windscreen and your windscreen is very steep then you will need the suction mount. 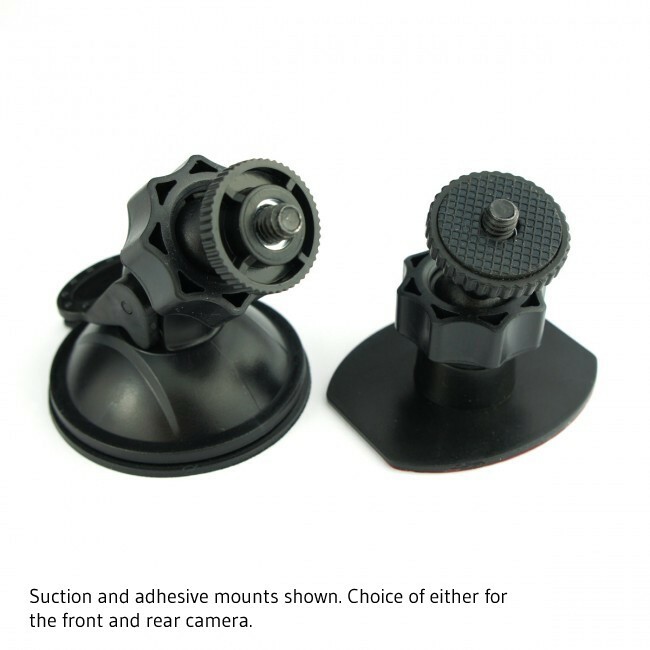 The suction mount allows you to mount the camera at a steeper angle compared to the adhesive mount. 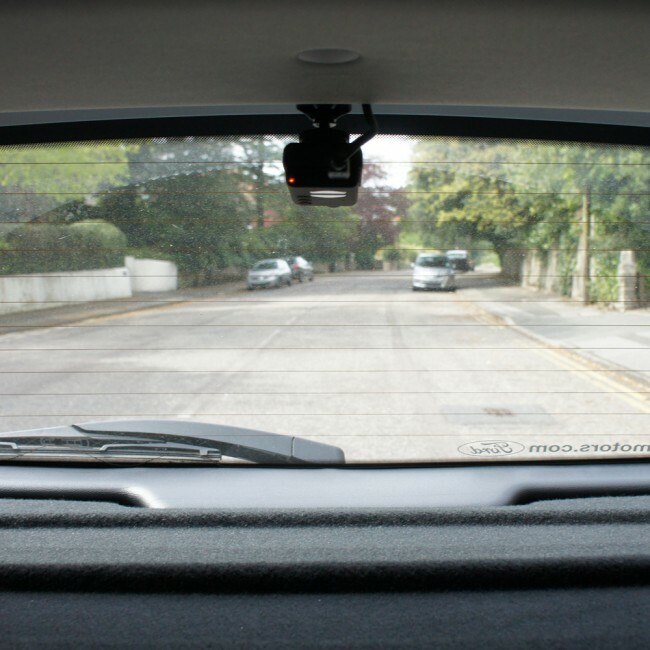 Read more information on how we pre-configure the Mobius as a car camera. Please note that the Mobius camera has been known to interfere with DAB radio reception in some vehicles so if your DAB radio is important to you then we would recommend an alternative camera. The hardwire kit we recommend for the Mobius is the 12V Cigarette Lighter Power Socket Adapter with the Piggyback Fuse Holder. You will only require 1 hardwire kit for the dual bundle. For the Piggyback Fuse Holder you need to choose from a Mini or Standard fuse type. This camera does not come supplied with a user manual or software. You can download the latest manual and Windows software from the URL below. All video files can be played back on both Windows and Mac, however to change the settings on the Mac, follow the instructions in the user guide (link below). I have been using my cameras for a couple of weeks now and I couldn't be happier! The cameras are super lightweight and easy to fit and I loved the fact that it came with everything I needed to set it up in my car. The HD footage is outstanding. I never have to worry about manually turning the cameras on and when they run out of space on the SD card, the footage simply loops over. Not only is the product itself wonderful, but the customer service is second to none; I have never met more helpful individuals. Reviewed by Mike The product is great, fully installed myself, and it's a good quality picture as well. First off very easy company to deal with I bought my Mobius Action camera with the super cap, hardwire kit and the windscreen sticky mount. Got a confirmation email straight away after I paid using PayPal which was very good indeed as I prefer to use PayPal. The funny thing was I even got a little pack of Haribo sweets which I thought was a nice touch. The camera was sent out with a letter outlining all the settings they had installed on the camera so it can be used as a dash cam straight out of the box. The camera came with the latest stable firmware at the time of typing this is v1.20. So I would recommend this company to anyone. The camera I done a lot of research into a camera and this one ticked all the boxes the Mini 0805 came close but the Mobius did not have a screen so that won the match. I was not disappointed with this camera at all for the price I felt it looks nice its small and discreet and the rubberised plastic also gives it that quality feel but it did not stop there the videos this camera produces is very good indeed (Better then the YouTube videos) I did have my reservation's using the wide angle lens as when I was testing in the house it did seem to have a fish bowl feel to it but this goes away when you install it into the windscreen of your car. The video is outstanding if you press pause whilst a car is going the opposite way you can read the number plate. I have yet to try this at night though but reviews looks good on those YouTube videos so I have no doubt that the camera will perform as well. On my test drive which was a sunny winter day there was some places where there was quick low light to bright light situations and the camera performed very well with those. The only thing that the camera did not do so well on (or any other camera for that matter) is when the sun was shining directly at the lens it made the car in front quite dark looking this is being very picky and all other cameras would have done the same anyway. All in all I give this camera and Company the full 5 stars and I would hope to deal with them again. 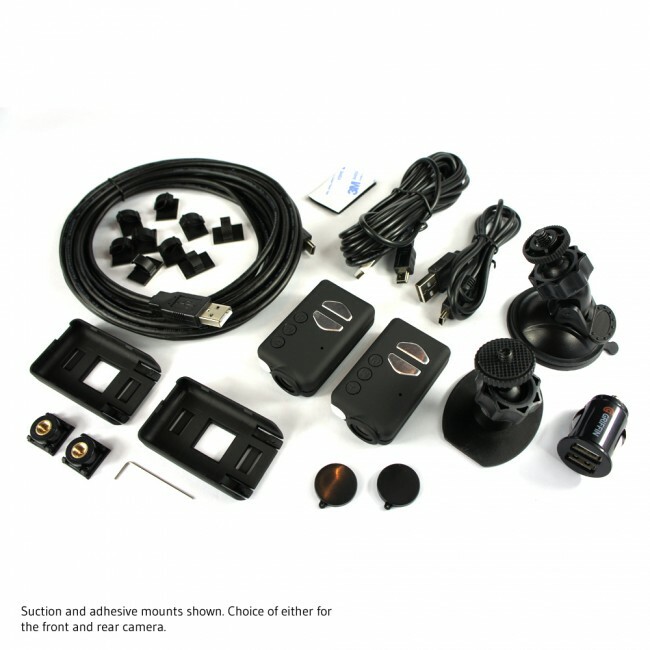 Car Camera Shop - Hi Steven - thanks for your review! With regards to the impact of different lighting on your footage, you might like to check out our DIY Polarising Filter video which might help. What a great little camera, it neatly fits behind the rear-view mirror so as to not get in the drivers line of sight. Most impressed with the results of a short test drive to ensure that it was positioned properly on the terrific equally small suction mount. My little concern about setting it up without a screen to view was quickly soothed by watching the video which covered average daylight, well lit, poorly lit and dark roads. This little beauty performed brilliantly. Neat software for the computer enables me to change any settings and a mobile app for my phone using an additional lead to connect the camera to the phone that means I don’t have to remove it from the car if I choose. Will be buying more. Great company and a great camera. Following a lot of research via forums, etc, I decided that the Mobius action camera would best suit my needs, both for value and capability. I purchased the twin pack which was well worth the money. I have one set up in the front of the car and one at the back. The picture quality is superb and when playing back you can pause oncoming vehicles and read their license plate as clear as day. I purchased these cameras because someone nearly run me off the road and I wanted evidence should such a thing ever happen again. These provide that. Once set up and installed you can simply forget about them because of their loop recording feature which means they'll just keep on recording, over and over again. Not had a problem at all over the week in which I've had them and would recommend these to anyone wanting just a little reassurance you will always have an eye witness on hand in the unfortunate event of an accident. Very easy to install in the car, had a problem at first as both cameras stopped recording after about 10 seconds but this turned out to be operator error! Once I realized what I had done I've had no other problems so far & there seems to be a lot of information online about these cameras so it should be easy to sort problems out if any happen or the Car Camera Shop from who I bought the cameras say they are happy to help answer any questions I may have. I am very impressed with the image quality with the 1080P setting. Playback was very jerky but this was down to my media player so I downloaded a recommended media player which vastly improved playback. I've had a few cameras before and i wanted a front and rear combo this time to capture footage from behind. i was rear ended a few years ago so i'm a bit more cautious about that these days. i saw this and thought for the price it's worth a go and all the sample videos on youtube looked amazing. i couldn't believe how small it was and its easy to install, you get everything in the box to get going. the video quality is just amazing, much better than anything else i've seen. delivery was fast and they help with all my questions before i bought it. great service and amazing cameras! Hi Ellen, thanks for your question. Providing your USB port supplies enough power it should be able to power your dash cam. If you're able to power a phone or other electronic device then you should be able to power a dash cam. You will also need a long USB cable which we can provide in 3m or 5m lengths, see the accessories section. What voltage does this dash cam require to power it? I am thinking of using an external battery pack to power it rather than my car battery, but I don't want to overcharge it or anything. Hi Melissa, thanks for your question. The Mobius (like most dash cams) runs off 5v. If you connect the camera via the dual USB cigarette lighter adapter then this will convert the voltage to the correct level for the camera. 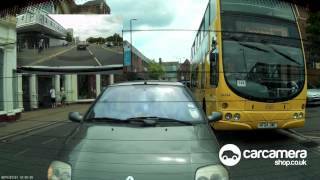 1) it has no g-snesor: can it automatically save 'dramatic events' like a normal dashcam? 2) can it operate in parked car to record if someone hits while parked/engine off? 1) No, the camera won;t automatically detect an incident so you will need to monitor the memory card and remove it before it overwrites the footage again. 2) Yes, you can enable motion detection and hardwire the camera to provide permanent power. 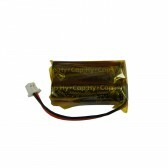 We recommend using a capacitor for this though to prevent any battery issues from permanent power. Can this be powered off the car battery instead of plugging into cigarette lighter or usb, I am looking for a solution with no loose wires showing and fully fitted do you offer fitting for the dual mobius camera option? Hi Helen, yes, you can hardwire the camera using the hardwire kit. 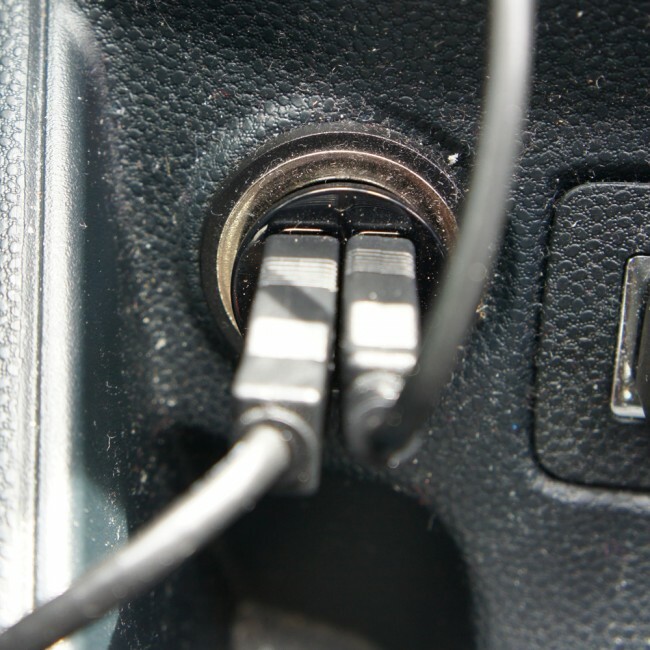 This will require our installation service which will handle this for you making sure wires aren't on display and your cigarette lighter socket remains unused.